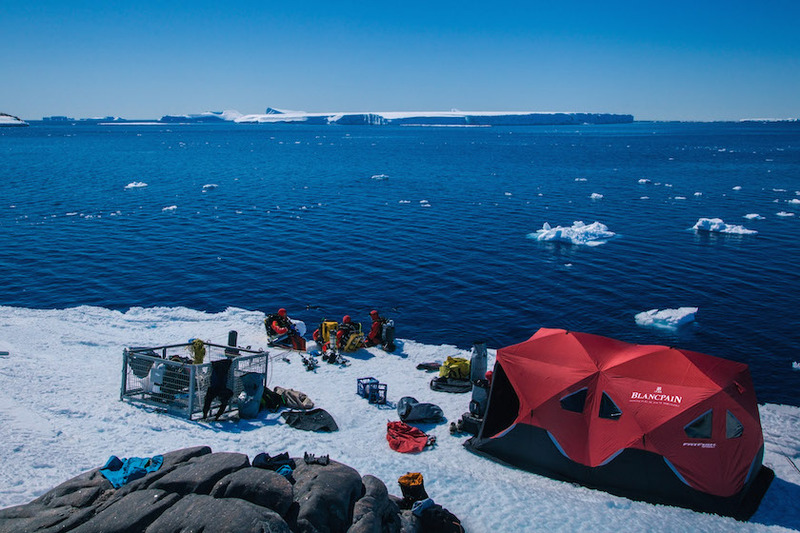 Recently, Blancpain and photographer Laurent Bellesta began the third Gombessa expedition — this time in Antarctica — and in association with film director Luc Jaquet and his Wild-Touch Expeditions. 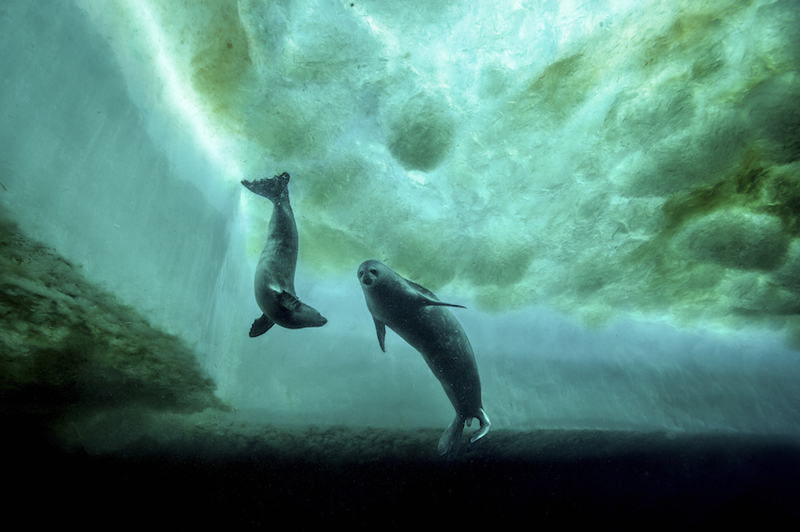 This pioneering exploratory, diving, and photographic mission is part of a wider project initiated by Academy Award winning director Luc Jacquet to explore the impact of global warming in this polar region. Ten years after the release of March of the Penguins, Director Jacquet returns to the Antarctic with a vision to deliver a touching testament to a territory threatened by global warming. The Gombessa III marks the first time a team of technical divers has been able to go beneath the sea ice in this region…a feat of human and technical achievement. 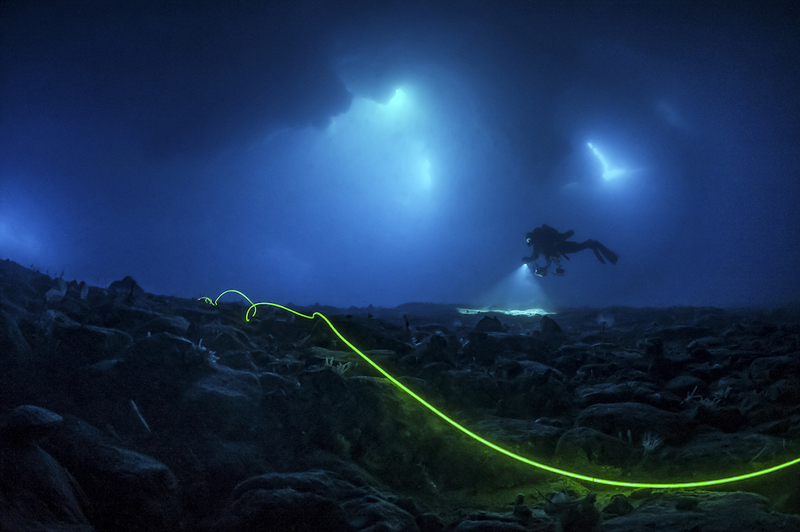 In the past, Laurent Ballesta’s Gombassa Projects designed to educate the public on the inaccessible and poorly understood undersea ecosystems, have revealed amazing discoveries. Gombessa I uncovered truths of the coelacanth, an animal believed to be the greatest zoological find of the 20th century, while the Gombessa II studied the unique marbled groupers of the Pacific. Both projects developed new techniques and protocols for scuba diving. 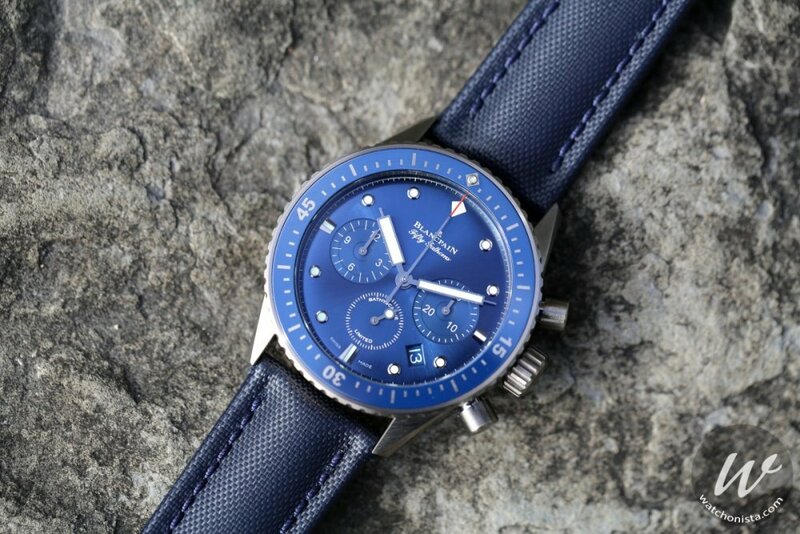 Blaincpain’s historical connection to diving reaches back more than half a century to 1953 with the development of the world’s first modern diving watch: the Fifty Fathoms. Since that date Blancpain has been dedicated to the cause of ocean preservation and protection and has worked to raise awareness of these issues through scientific projects, ocean explorations, underwater photography, public exhibits and major publications. These initiatives, housed under the Blancpain Ocean Commitment label have made significant contributions to opening up the underwater world and revealing the beauty of the ocean to the public at large. Through donations, support, and partnerships with leading organizations dedicated to ocean preservation and protection Blancpain has worked to promote widespread awareness of this cause. Some of the concrete results achieved to date include the Pristine Seas Expeditions run by the National Geographic Society, which has managed to double the total surface area of protected ocean worldwide by adding another 3 million square kilometers. The expedition, which can be tracked on a daily video-blog on www.blancpain-ocean-commitment.com, will give rise to several documentaries, similar to those produced by ARTE in the image of “Gombessa I – The Coelacanth, Dive Towards our Origins” and “Gombessa II – The Grouper Mystery”, both of which received prestigious awards. Other plans include an IMAX movie by Luc Jacquet, books, including one for children, exhibitions, including one at the Musée des Confluences in Lyon between April 18 and August 15, 2016, and a vast social media campaign to raise awareness among the general public. Celebrating these initiatives, Blancpain offers the Ocean Commitment Bathyscaphe Chronographe Flyback as part of a series of limited edition diving watches that house Blancpain’s F385 movement featuring a column wheel control, evolved vertical clutch mechanism, free spring balance with silicium hairspring and 5Hz frequency. The limited edition Ocean Commitment model is distinguished by its grey ceramic case, dark blue dial, dark blue ceramic bezel and engraved winding rotor. With each sale, Blancpain promises donates 1,000 Euros to the organizations backing the Ocean Commitment program. thank you of course you are correct, we had it right in a few places … but it should be right everywhere.